Strange dietary requirements are the norm in Sugarpuffish's family. I've mention my sister on here before as she often helps me out with product reviews. What I haven't told you is she suffers from Coeliac disease (pronounced see-liac, spelt celiac in other countries). My sister agreed to share her experience on my blog. 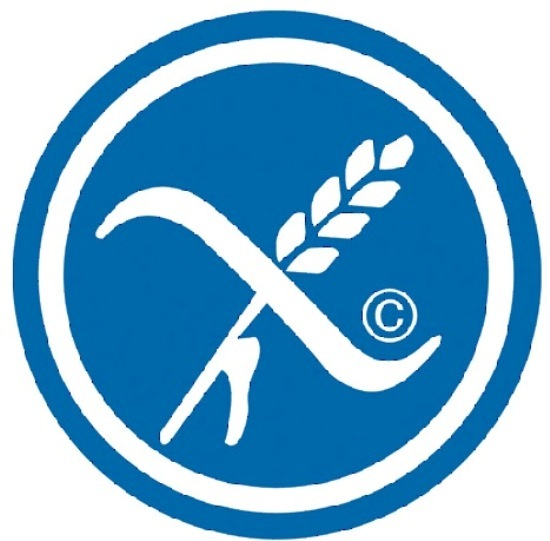 At what age did you get the diagnosis of coeliac disease? I actually self diagnosed myself. At the age of about 15, I noticed that I was bloated after every meal and had an upset stomach - in fact for most of my life I had these symptoms. It progressively got worse and by the time I was 19, I decided to go back to basics. I ate rice and chicken for a while and then slowly introduced different foods in my diet. It was when I introduced wheat back in, that my stomach bloated and the cramps came back. With the help from my mum, we investigated into this and came to the conclusion that I had intolerance to wheat. What types of symptoms were present that led to the diagnosis? Armed with this information, I went to the doctors. Test, prods and intimate examinations later, I was diagnosed with severe IBS (Irritable Bowel Syndrome) which was being bought on with the intolerance to wheat and gluten. I could never be medically diagnosed with being a coeliac due to eliminating it from my diet for so long that tests would not be able to pick up on it! The major change I faced was changing my diet. This was the hardest part. Back 10 to 15 years ago, Coeliac disease was not widely known and in fact IBS was always thought of as a myth. There were limited food in the supermarkets and so I literally had to learn the ingredients of everything. Exercise also played an important part in order to manage my symptoms. Gentle exercise helped with my digestion and also I had to teach myself to eat little quantities but more often. Where do you buy your gluten free food? What are some of your favourite brands of gluten free food? To be honest I don’t have a favourite brand of GF foods - I kind of go with the flow when shopping and if I see something I like, then I buy it. Different supermarkets have different stock, so it really does depend where I shop that week. However, there is one brand of bread I can’t live without - Genius. I have spent years of eating dry, tasteless bread that you could only toast - and the size of a large cracker. Now I can make my favourite sandwich without toasting the bread first. The multi-grain is the best. What other sources did you use to learn about celiac disease? (websites, books, groups, etc). The website I can’t live without is www.coeliac.org.uk - this is where I obtained their food and drink directory which gives the allergy list to 1000’s of brands. They also provide great publications from magazines to cookbooks. I also like dietary card.com. You can order handy cards in most languages that list your allergies. I recently used mine in Prague and had no problem at all. How do you handle eating out? Eating out was hard to begin with - you were frowned upon. Nowadays, a number of restaurants are aware of this allergy and some highlight it on their menu. Most restaurants have an allergy list or you can contact head office for this list. There are websites that help you choose restaurants, like gluten-free-onthego.com. I also love the fact that Marks & Spencer and Starbucks sell Gluten Free sandwiches - so much easier than searching high and low for something to eat on the go. What about at social events like holiday dinner and birthday parties? My friends are great and do not make it an issue. Of course they check before hand but never have they left me feeling the ’awkward’ one. I love going to my friends’ house when they cook as I often get treats that I wouldn’t normally buy. Thanks gals! It is still sometimes difficult to go round somewhere unannounced or where someone doesn’t know of my food intolerances but to be honest I usually go prepared. Please feel free to leave comments about your own experiences with Coeliac Disease or any other dietary illnesses. I love that you're raising awareness! It's good to know I'm not alone. @Sugar & Silk well that is very sweet of you to say & even when I told you off for purchasing Vaseline! Great post! I'm a coeliac and it can be a nightmare trying to find food to suit when you're out and about. we can;t just grab a sandwich to tide us over until dinner time. But your sister is right, Genius bread is delicious. I get mine on prescription (as well as pasta, biscuits, flour etc) but it only comes in the brown or white. The multi grain is by far the best and makes a great sandwich lol. Thanks for highlighting this disease, which can be debilitating and which many people suffer from but are rarely diagnosed. Thank you for posting! My sister has celiac as well and I'm going to share this with her. I'm glad people are talking about this now. @Staci I'm glad you have found this post useful is definitely good to share these things & raise more awareness.